Congratulations to Philip Long, Winner of Event #22: $1,500 Eight Game Mix ($147,348. After three days of poker and eight different games, the Event #22: $1,500 Eight Game Mix winner has been crowned with the United Kingdom's Philip Long claiming glory, the coveted WSOP gold bracelet, and the $147,348 first-place prize. At a stacked final table, Long defeated Kevin Malis heads-up. Six-time WSOP bracelet winner Daniel Negreanu's bid for number seven ended in third place, John Racener finished in fourth. Long felt that his comfort in all the games was the biggest factor to his victory. "It's an unusual thing when you have the eight-game mix. I think you're always trying to be aware of what people think about the different games and what they think about you in the different games. Sometimes, some people are really confident in some games and weak in the others, and sometimes they think you're bad at certain games. I didn't feel that bad in anything and I think that was my main strength," the newly crowned bracelet winner said. The 2018 instalment of this event saw 481 players take to the felt to eclipse the total set last year, which saw Ron "Grumpy" Ware claim his first WSOP bracelet. After a full day of poker, just 134 players remained. When play kicked off on Day 2, the likes of Amnon Filippi (71st), Benny Glaser (64th), Ylon Schwartz (54th), Chip Jett (42nd), Jon Turner (38th), Scott Seiver (34th), Fabrice Soulier (30th), Dylan Linde (24th), Valentin Vornicu (23rd), Ben Yu (22nd), and James Obst (20th) were among those hitting the rail throughout the day. The final day of play saw just 16 players return and a quick influx of eliminations would occur as David Bach (16th), Robert Williamson III (14th), Anthony Zinno (13th), and Mike Matusow (12th) all hit the rail before the final table was reached, with Long the overwhelming chipleader ahead of six-time WSOP bracelet winner Negreanu. Nicholas Derke (6th), Per Hildebrand (5th), and Racener (4th) were all swiftly eliminated as an intense three-handed battle began. "I was obviously scared of Daniel because he has played a lot, while Kevin (Malis) seemed more inexperienced," said Long of the three-handed battle. "It made it easier when Daniel went out. He was obviously the best player left, so it was scary with him there." 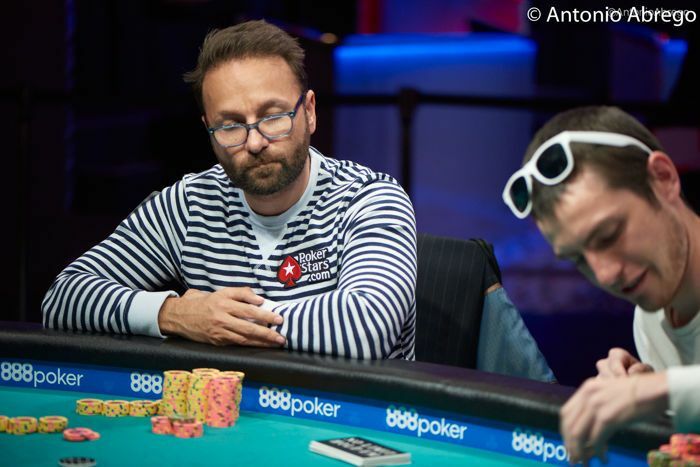 A crowd had gathered to potentially see Negreanu claim the title, but when a few big 2-7 Triple Draw hands didn't go his way, he was soon relegated to the short stack. In a round of No-Limit Hold'em, Negreanu would flop top and bottom pair and then call a river shove from Malis only to be shown Malis' flopped top set. With Negreanu out in third place, the heads-up battle began with both players virtually even in chips. Long and Malis traded chips back-and-forth fairly evenly over the first stage of heads-up play, but then Long kicked it into a higher gear and started applying pressure on Malis. Although Malis managed to secure a few double ups, it wouldn't be enough as the final hand occurred shortly after in an orbit of Razz. Malis was all in on third street and ran out a jack-eight low, only to be outdone by Long's six-five low. With Malis eliminated in second place, Long was crowned the Event #22 winner and captured the $147,348 first-place prize and his first WSOP gold bracelet. Congratulations to Philip Long for winning the Event #22: $1,500 Eight Game Mix bracelet. He joined a group of extremely talented mixed-game poker players that have found glory in this format of tournament poker. 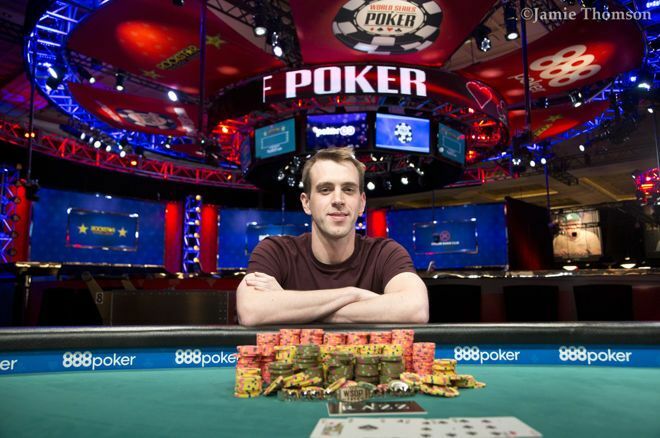 Long also becomes the 37th player from the United Kingdom to win a WSOP bracelet, and with it sees Britain now hold a total of 45 career WSOP bracelets. For continued updates of the 2018 WSOP, stay tuned right here to PokerNews as the team continues to provide live updates of all the action live from the Rio All-Suite Hotel & Casino. 55 2018 WSOP Event 55: Giuseppe Pantaleo and Nikita Luther Win the $1K Tag Team for $175,805! 56 2018 WSOP Event 56: Calvin Anderson Wins His Second Bracelet in the $10K Razz ($309,220)! 57 2018 WSOP Event 57: Jessica Dawley Wins the WSOP Ladies Championship for $130,230! 65 John Cynn Wins the 2018 WSOP Main Event for $8,800,000! 71 2018 WSOP Event 71: Phil Hellmuth Wins 15th Career Bracelet in $5,000 No-Limit Hold'em!